This new SMOK RBA Coil is designed for TFV12 PRINCE Tank. Best choice for DIY lovers. Just get one to enjoy! TFV12 PRINCE RBA Coil from SMOK is designed for TFV12 PRINCE Tank. Best choice for DIY lovers. You can build your own coil with it easily. Just get one for your PRINCE tank! 1pc each pack. Please notice that this coil cannot be used for EU Tank. 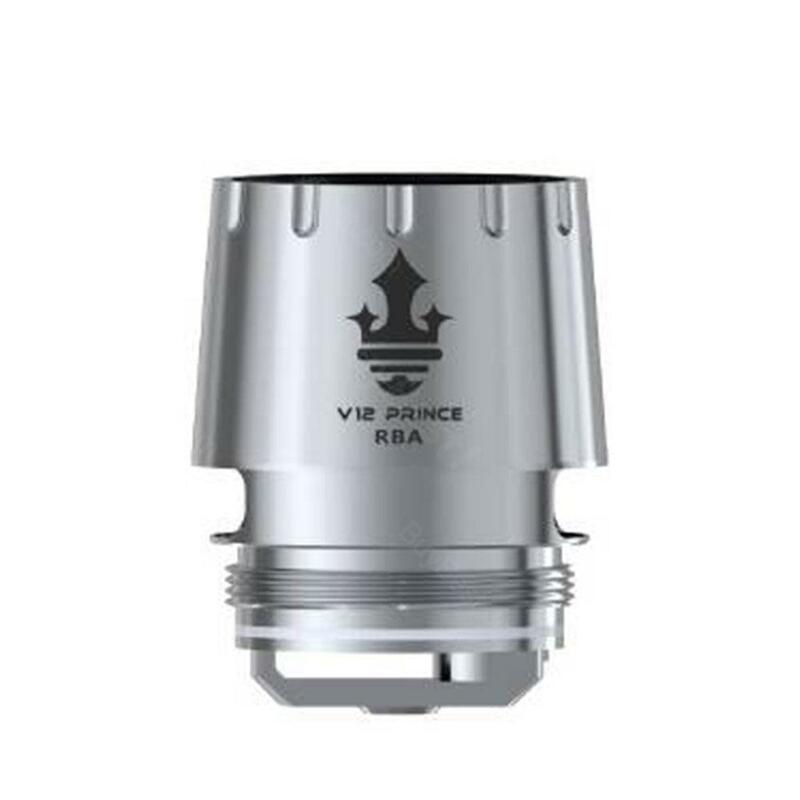 • It is for TFV12 PRINCE Tank. • If you want to use the RBA core in TFV12 Prince EU tank, you have to change the glass tube to Bulb Pyrex Glass Tube or the Normal Glass Tube. TFV12 PRINCE RBA Head grants your SMOK TFV12 PRINCE the ability to build your own coils. This allows you to rebuild your own coils providing great flavor and vapor adjusted to your personal preferences. 기대 이상의 맛표현 도전 해 보세요!